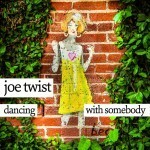 Dancing with somebody / Joe Twist. Dancing with somebody : for string quartet / Joseph Twist. A musical celebration of the life, music and persona of diva sensation Whitney Houston. eBook: Australian Music Day 2015 : Program 2 resources / prepared by Alicia Grant and Tristan Coelho. 18 Jul 2015: at Live from Sydney Town Hall (Sydney Town Hall). Featuring Acacia Quartet. 6 Nov 2014: at The Company We Keep (Australian Hall). Featuring Acacia Quartet. 1 Nov 2014: at The Company We Keep (The Rose Room). Featuring Acacia Quartet. 20 Sep 2014: at Bellingen Music Festival 2014 (Bellingen Memorial Hall). Featuring Acacia Quartet.